Holmen Marine is the go to place for new and used boats. Whether someone is looking for fishing boats, walleye boats, pontoons, duck boats, motors, trailers, or more, Holmen Marine can help. They sell an assortment of boats and accessories and are the leading boat retailer in Holmen, Wisconsin. Holmen Marine has a large quantity of motors in stock and that doesn’t count the other products they supply. Suffice to say, if you are in the market for a new or used boat, Holmen Marine has you covered! 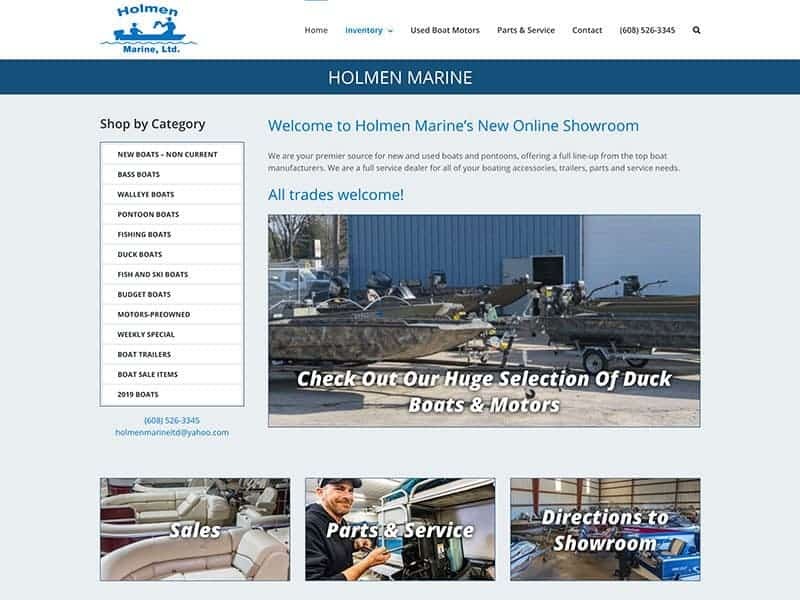 Holmen Marine’s new website is a great resource for boating customers. It has everything viewers need to peruse new and used boats, motors, and other necessities. Our team upgraded the old site to a professional new website which included incorporating new images throughout the site and adding an updated category system to better organize the company’s products, all while keeping the same layout of the previous site. With the new category option customers can easily choose what type of product they are interested in and they will be directed to the corresponding product pages. A major benefit of updating the website is the reduced time it will take for staff to keep the company’s inventory up to date on the site. For how many products go through Holmen Marine, we believe the staff will be much happier with the new changes. We anchorage you to check out the new site here…boat be careful; you may leave fishing you had a new watercraft! 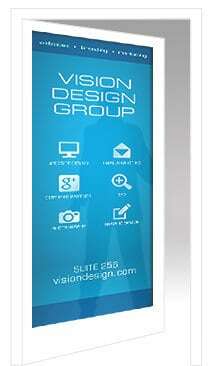 Ready for a new website to highlight your products and branding? Contact our team today!